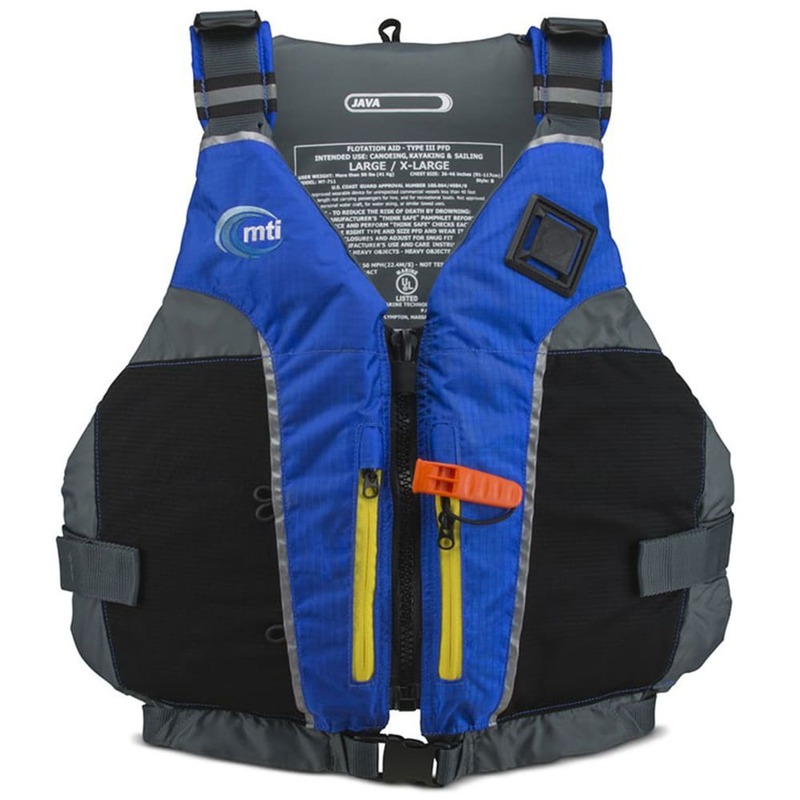 Ideal for all types of paddling sports, the Java PFD Vest features open sides and a body-hugging contoured shape for freedom of movement. 6 points of adjustment provide a customized fit, while zippered cargo pockets and the Daisy Chain attachment system help store small essentials. This product will be shipped directly from MTI and will leave their warehouse in 2-3 business days. Eligible for UPS ground shipping only. Buoyancy: Minimum 15 lb. 8 oz., Design 15 lb. 15 oz. to 16 lb. 4 oz.